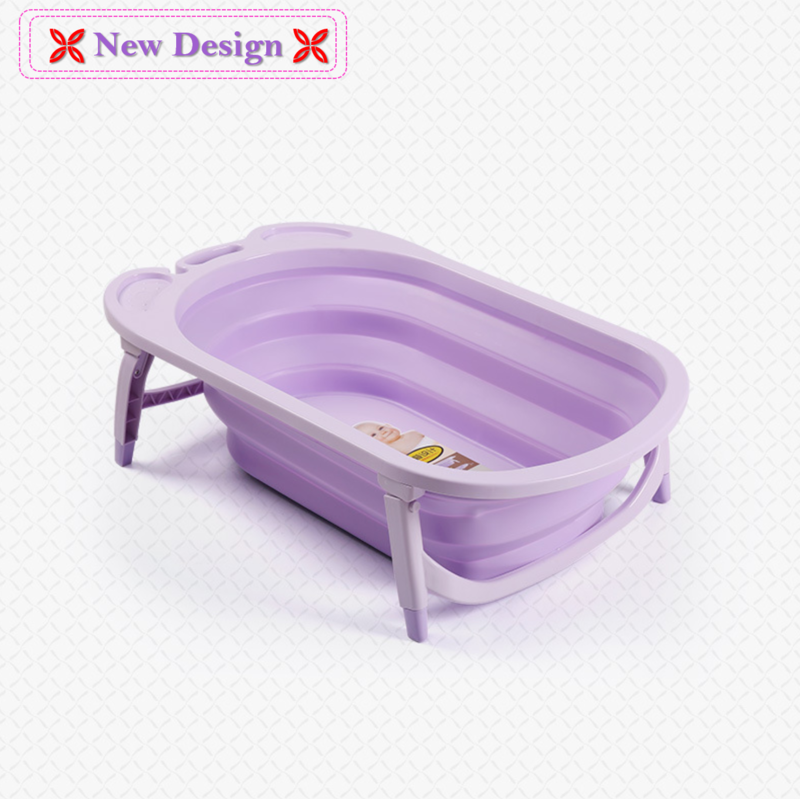 Non-slip legs, heat sensitive drain for extra safety and quick dry. Tight drain plug for quick, complete water drainage. 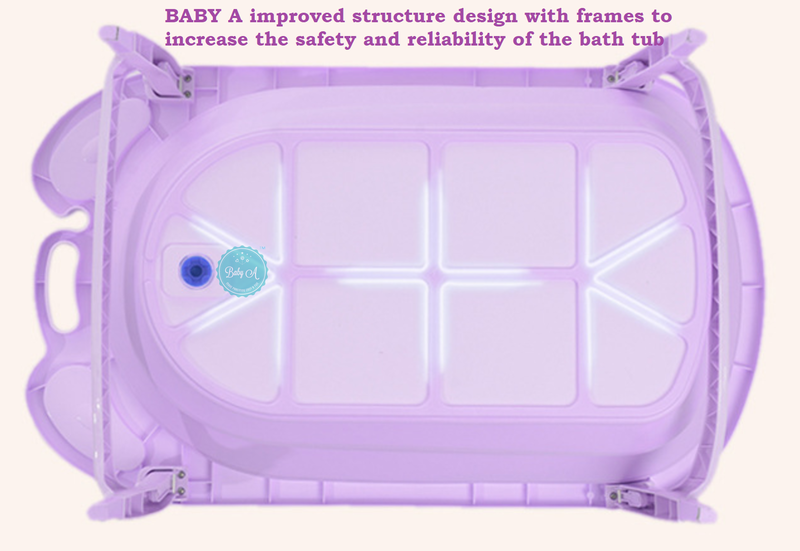 Deep ergonomic design holds baby for comfort bathing Provides two support positions for stages from newborn to toddler. 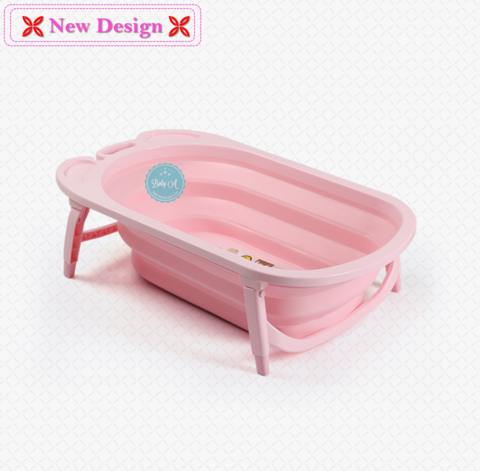 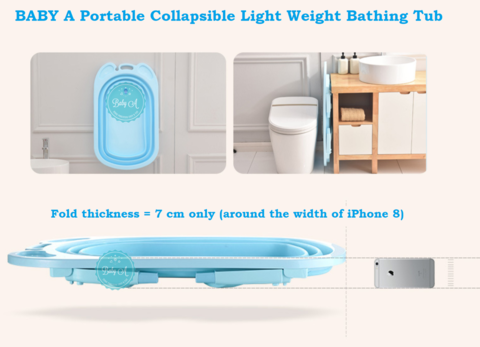 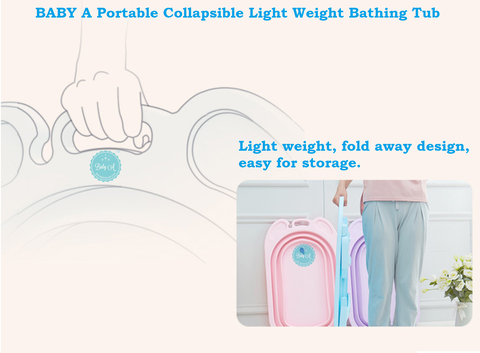 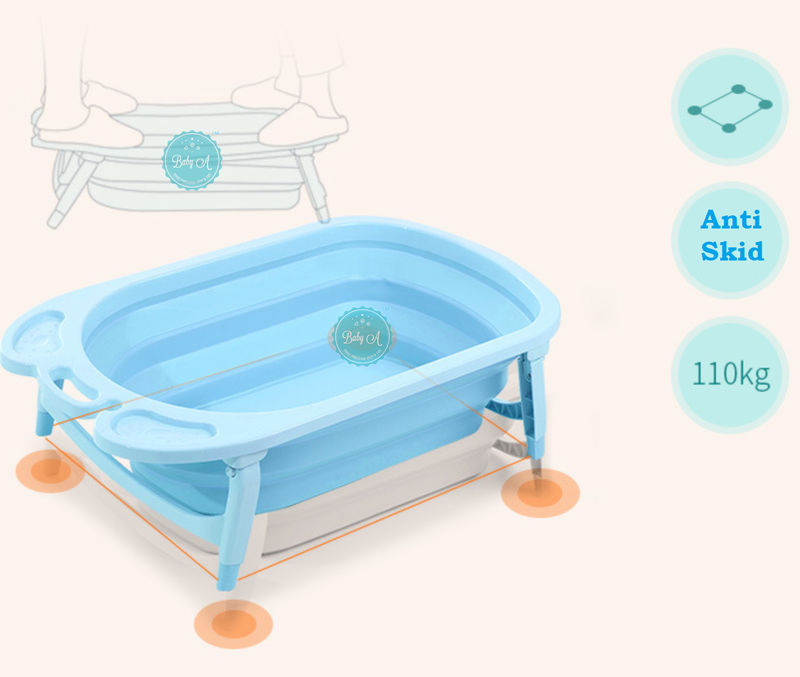 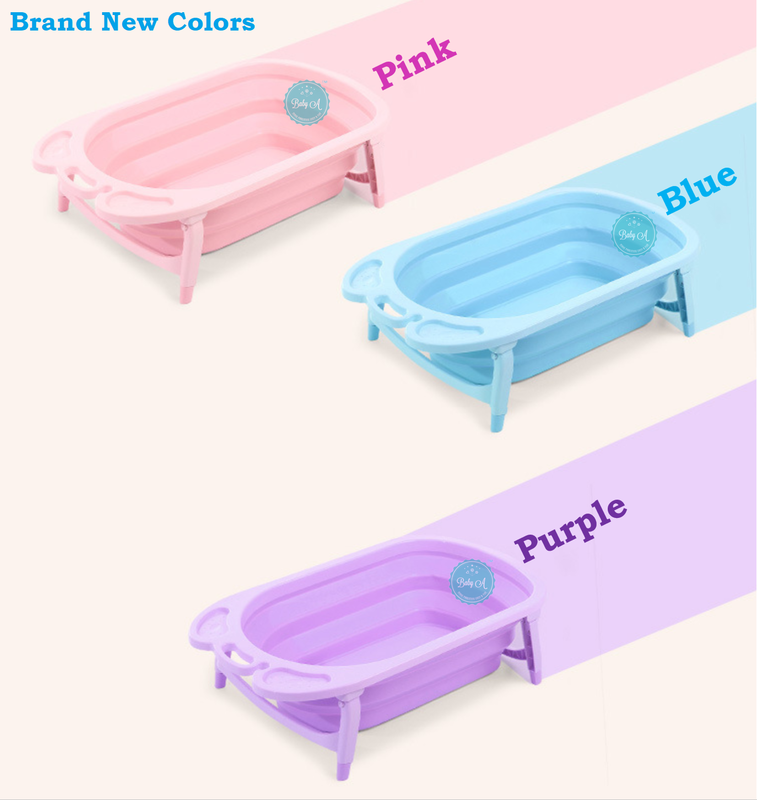 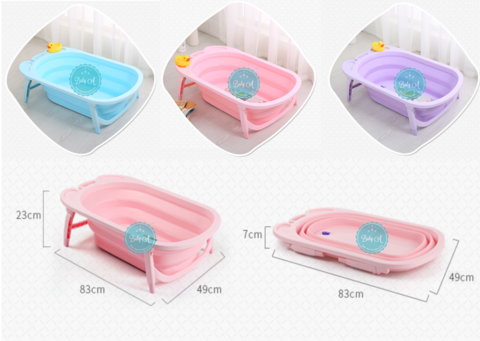 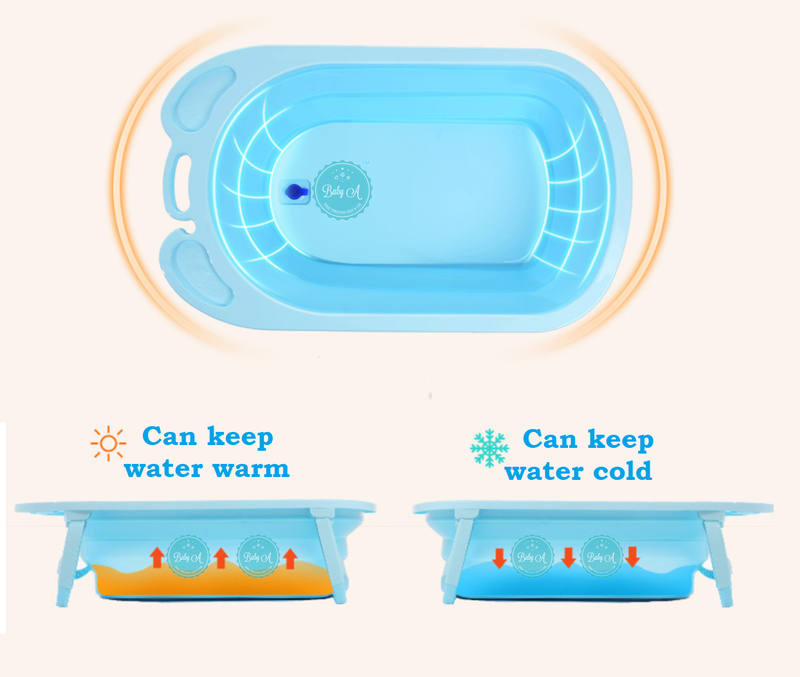 Portable collapsible bath tub is designed to store away easily to save space at home. 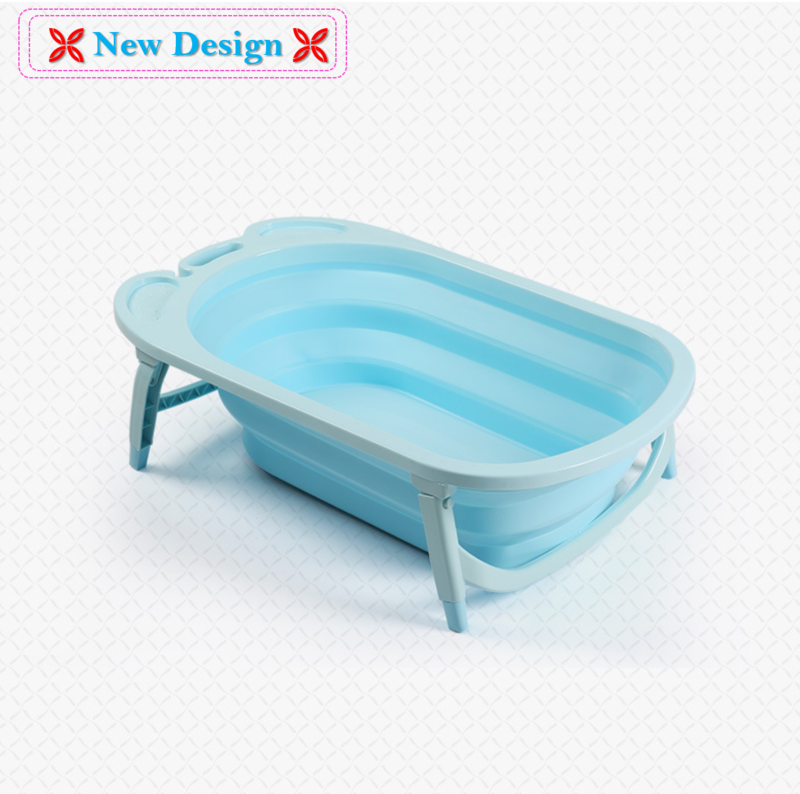 The extra leg support with non-slip material brace for quick and secure positioning on any flat surface. The fold away design makes storage easy without compromising a full size tub for your child. 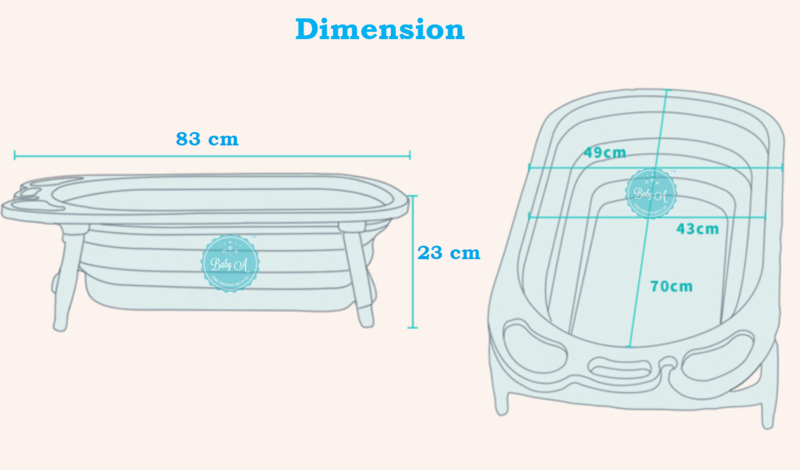 The built in hook allows the bath to be hung for space-saving storage or on the shower head for drying. 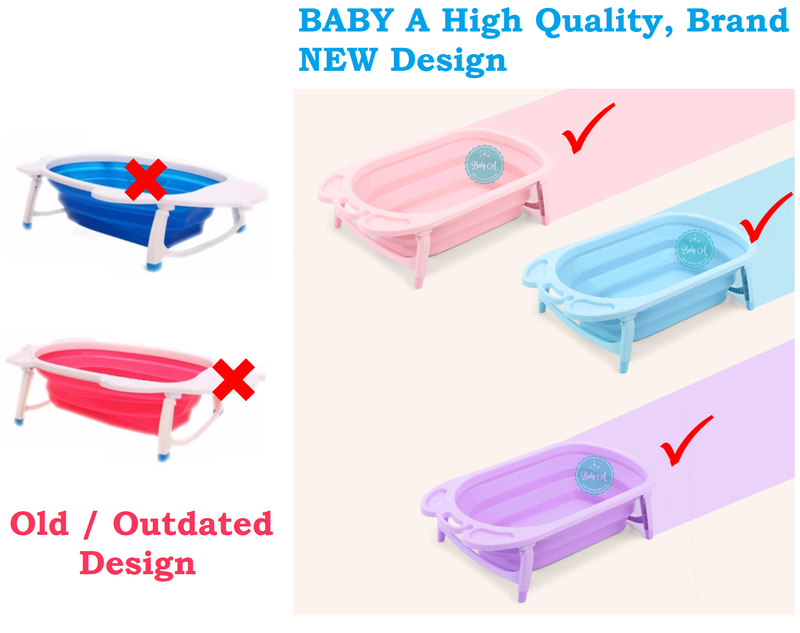 Simple and easy to carry on: one piece design makes transitioning between stages easy without losing parts by only clicking button.